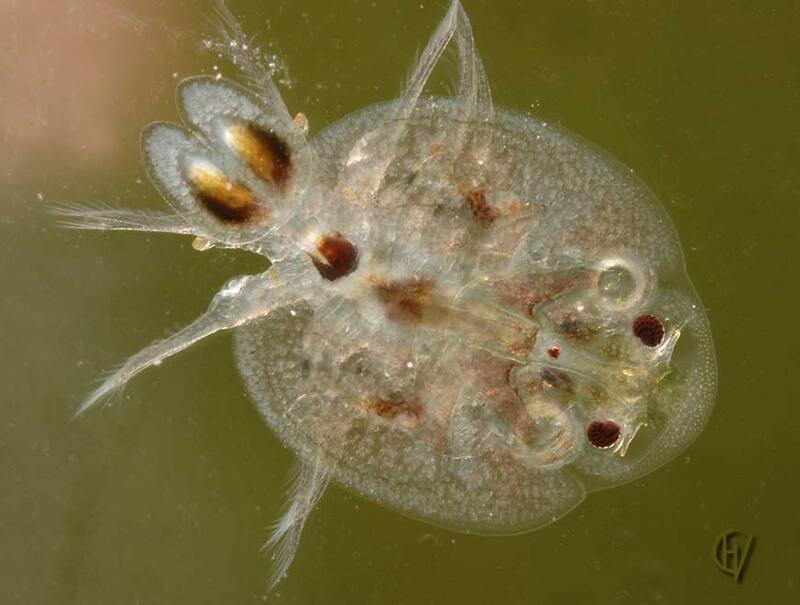 This crustacean is so different from other water fleas that it is difficult to place in the systematics. It is completely recreated in a form which is perfected for a parasitic life on fishes: a flat body equipped with hooks and sucker discs to attach itself very firm on it's prey. This picture shows the top of the creature, it's transparent, so the legs and the appendages on the ventral side are visible. Notice the two compound eyes, very different from the one of the waterfleas and copepods. For more on this creature: click the "up" icon top left.